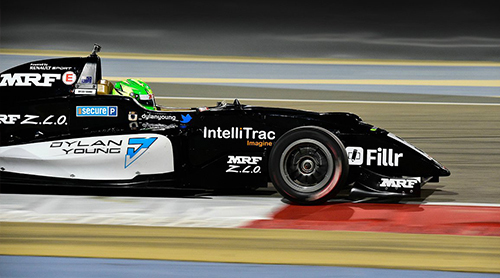 We were recently delighted to treat racing driver, Dylan Young, at VISTAeyes Laser Eye Clinic. Dylan, a home grown Melbourne boy, is one of only a handful of Australian racing drivers competing internationally on the pathway to Formula 1. Naturally, having optimal vision is crucial to Dylan’s racing career and, after noticing his sight was less than perfect, Dylan was determined to get himself into the best possible physical condition in preparation for the upcoming Formula 3 season. Having heard great feedback from friends about VISTAeyes, Dylan attended a consultation where he was given a thorough examination of his eyes. He was found to be suitable for laser eye surgery and had his surgery performed by Dr Rick Wolfe two weeks later. Dr Rick Wolfe performed the laser eye procedure using our latest topographic-guided treatment (ContouraTM Vision). Contoura TM Vision is a highly customised advancement which treats the individual irregularities of the patient’s cornea, significantly improving visual outcomes. A few minutes later, and it’s all done! We wish Dylan the best of luck for his Formula 3 season later this year and will be proudly following his success over the coming months! This entry was posted	on Friday, October 7th, 2016 at 4:14 pm	and is filed under In the News. You can follow any responses to this entry through the RSS 2.0 feed. You can leave a response, or trackback from your own site.